We Ride Australia is delighted to have been awarded a federal grant from Sport Australia to boost children walking and cycling to school. Announced today by the Minister for Sport Bridget McKenzie, the Move It AUS grant allows We Ride Australia to combine existing school bicycle education programs with innovative approaches using smart technology to address key barriers to active school travel. Working in collaboration with the Sunshine Coast Council, the University of Canberra and major technology partners We Ride Australia is conducting the 12 month program with a view to establishing a scalable national approach to safe routes to school. Speaking after the announcement, We Ride Australia’s Peter Bourke said, “We are delighted that Sport Australia has recognised the opportunity to bring smart tech together with school based bicycle education to boost walking and cycling to school. 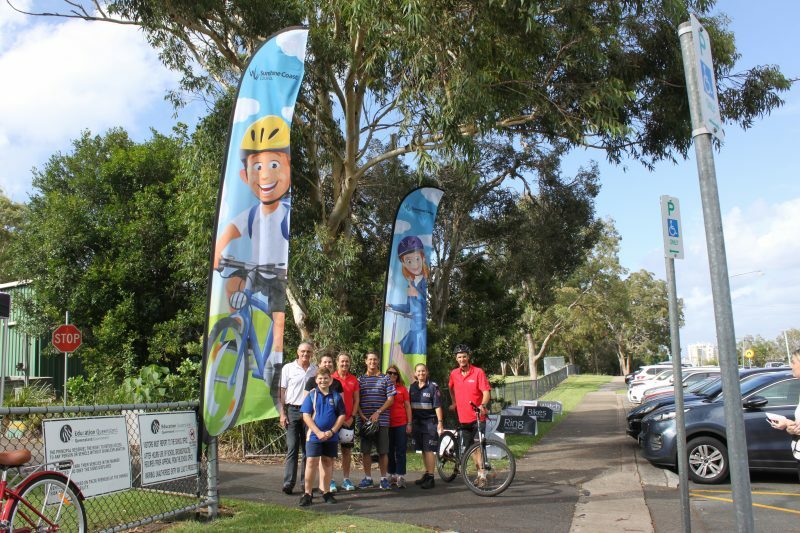 “This will be the first time a trial will be conducted based on a very successful use of smart tech by the Sunshine Coast Council, cutting edge mapping technology and bike skills education in the schools. “The partnership allows us to bring the private and academic sectors, local and state governments together to support all school children to be more active, healthy and happy as part of their daily trip to school,” Mr Bourke said. The 12 month project will commence in July 2019. For more information: Director – National Advocacy, Stephen Hodge, stephen@weride.org.au, 0411 149 910. Above: The successful trial of smart tech devices at Caloundra State School – ‘RideScore’ – forms a key part of the project.